Valuable customers need special attention. They not only bring revenue, but they also become your brand ambassadors. A personal connection, an extra attention, and a value-added proposition always keep special clients happy and satisfied. That is where ‘Account Based Marketing’ comes in. 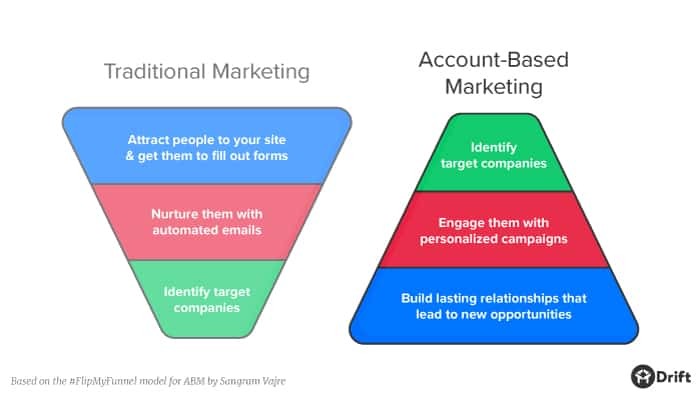 Marketers can give this special attention to certain customers with Account-Based Marketing (ABM). This strategy helps them to identify and focus on accounts that are the most valuable. The solution uses account-based data and technology to find out valuable accounts, attract and engage them, convert prospects to sales, and measure the success rate. According to statistics, more than 70% of B2B businesses were focused on ABM in 2016. There has been a 21% increase in the number of Companies who have their ABM system in place. 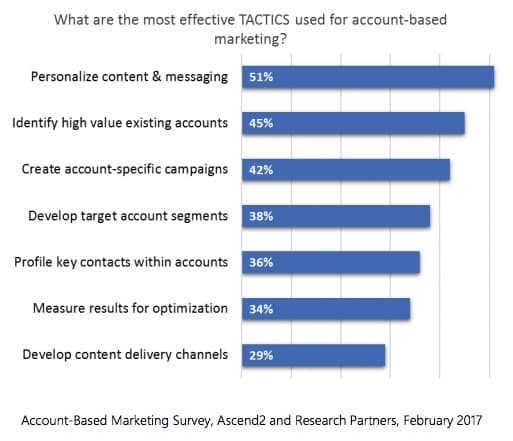 More and more Companies are trying to keep the valuable customers happy and engaged with Account-Based Marketing. Let us understand how it works. 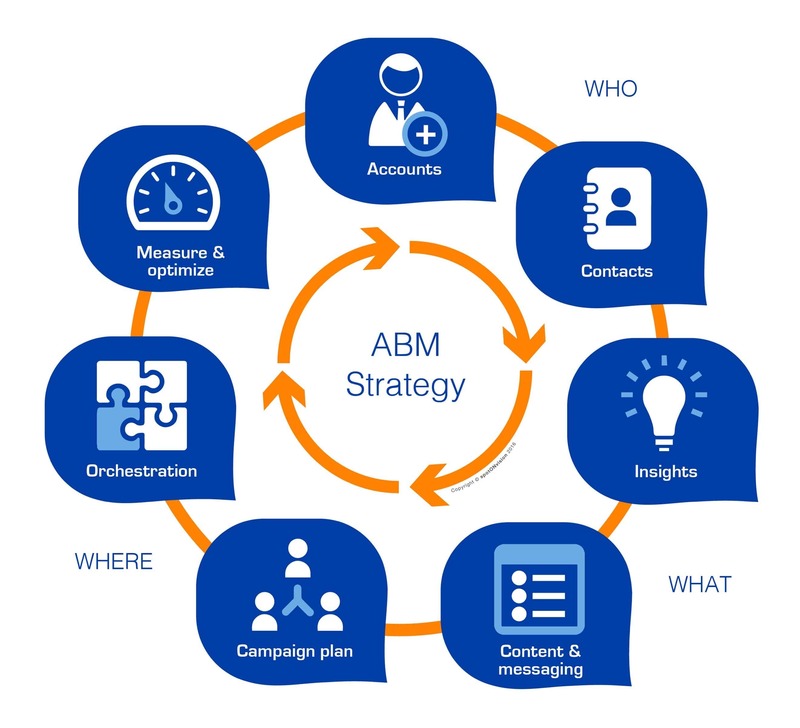 Let us take a look at the 6 simple steps to implement an ABM campaign. This begins with identifying the key accounts and deciding whom to target. 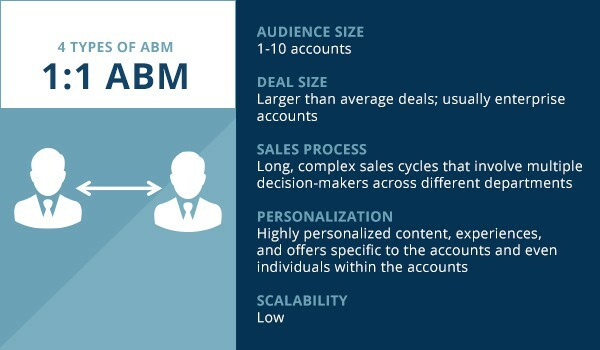 ABM is not for an individual, rather it is for the entire Organization. Look for the account that generates highest largest MRR (monthly recurring revenue) for your Organization. Assess on the basis of industry, Company size, revenue etc. Identify key accounts who are valuable to your business. Once you know about your key accounts, do an extensive research on the account. Unless you are aware what the decision maker wants, you will not be able to cater to their needs and fulfill their requirements. Information and knowledge are the key things in ABM. It is very important to know the intricate details about the account and use it to design the campaign. Create personalized content that caters to specific accounts and their needs. It is important to design content that is visually engaging and interesting for specific accounts. It is already proved that personalized content brings in more benefits. So, working closely with both the design and sales teams is very important. The next important step is to determine how to reach the prospects and which channels to use that the right message reaches them at the right time. It is very important to choose the right digital medium to convey the message to the right decision makers. Facebook and LinkedIn are powerful platforms to take the message to the stakeholders. Any process or campaign with proper planning cannot produce the best results unless it is implemented at the right time. Deliver what you have planned and maintain a balance with what the customer is expecting. Finally, it is very important to assess your efforts to know what is working and what is not. Unless you measure your results, you will miss the areas of improvement. Periodic assessment along with improving your process is the key to optimizing any ABM campaign. Discuss your findings with the team and also cross team to plan the collaborations better for greater benefits. 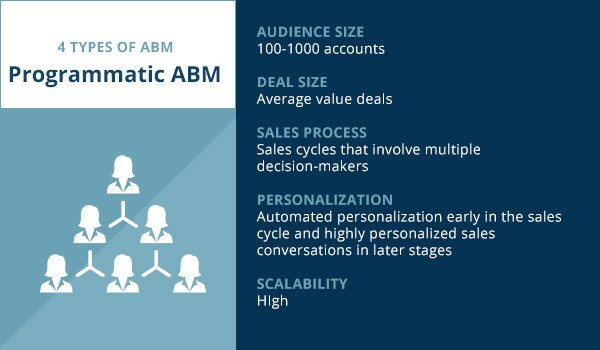 To understand why ABM is better than Traditional Marketing, we need to assess its benefits. Personalized Communication: We have already seen how personalized content can work wonders in digital marketing. The same benefit can be reaped from ABM campaigns as well. This helps the marketer to create and focus content according to what the key decision makes would want and to channelize their actions in their favor. ABM will enable marketers to reach customers in a better way with targeted content to increase interaction and sales. 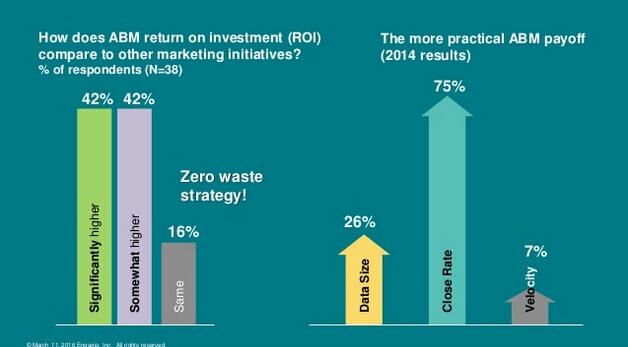 Better measurement of ROI: It has been reported that around 84% of marketers who have used ABM campaigns feel that it has a higher return on the investment than other marketing techniques. It is much easier to measure the ROI due to the focused approach and immediately know the areas of improvement. Efficient use of marketing resources: With a streamlined and focused approach for different types of accounts, it helps an organization to channelize their resources in the right way. It enables the optimum use of time, money and staff so that the best results can be achieved in collaboration. This means better utilization of resources to optimize efficiency and effectiveness. Closer alignment with between Sales and Marketing: ABM requires a close coalition between the sales and marketing teams, which is essential for every business process. 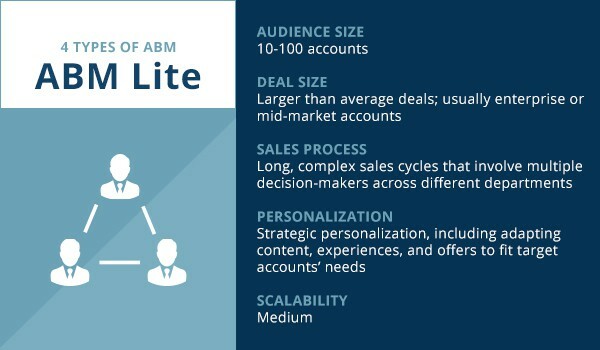 According to a survey, marketers who do ABM are about 40% more likely to report alignment with their sales team compared to others. This kind of collaboration helps in the overall growth and prosperity of the organization as well. According to statistics, more than 70% of B2B businesses were focused on ABM in 2016. There has been a 21% increase in the number of companies who have their ABM system in place. 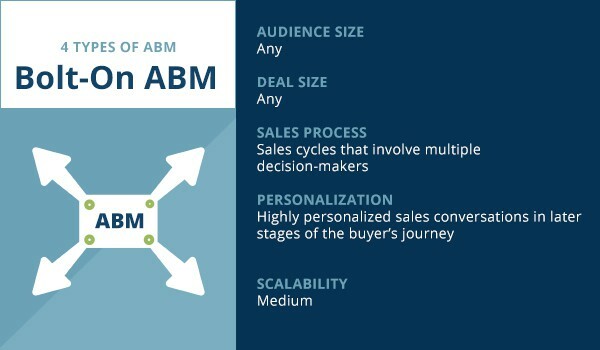 ABM can be classified into 3 major types. This is a one-to-many model. It can range from 10 to 100 accounts. Usually, a small group of accounts is targeted, which have similar business attributes or challenges. Then, marketers collaborate with the sales team on which accounts to target, issues to highlight or what propositions will work best, and how the existing content can be tailor-made to suit their interest. This is a one-to-many approach where the focus is on generating, nurturing, and tracking leads from an account-based view. With technology enabling analytics and personalization across many accounts, one marketer can work on several accounts and it becomes less marketing resource intensive. The coverage is also more than Strategic ABM or ABM Lite. 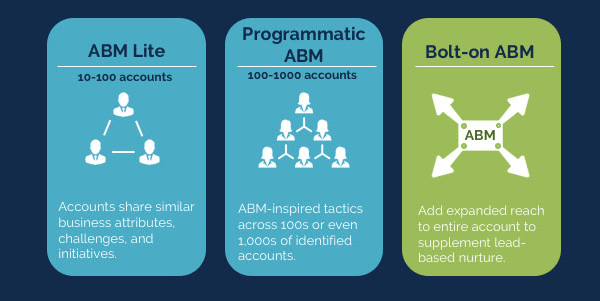 Bolt-On ABM allows marketers to interact with the rest of the buying committee while still marketing to one specific lead. When a lead comes in and gets qualified, it gets routed and placed in a nurture campaign. A Bolt-On ABM strategy uses technology to trigger actions to engage other personas from that particular company when a lead progresses through the funnel. There is one more type of ABM known as Strategic ABM, which is highly specialized and high level. This is mostly for 1:1 accounts. In this approach, a dedicated, senior-level marketer interacts directly with one or a very few strategic and key account teams on the sales side, and helps to customize marketing plans for each individual account as an integral part of the overall account plan. Engaging with educational content: Educational content like blogs, informative guides, business videos, infographics and others play an important role in engaging the customer. The audience gets the right and updated information on related topics and also about your expertise on the subject. Sending Personalized Emails: Personalized emails can be the easiest and most effective aspects of Account-Based marketing if done in the right way. This helps to take the right information to the right customer at the right time based on their previous behavior and help them take an action. Using Social Media to Target Audience: Social Media can be the best place to collect information about target buyers and delivering the right content at the right time. The way people engage in social media can give marketers clues on what they are looking for and how they can cater to their needs. Working with Partners to Engage Customers: It is very important to know the decision-makers of an account to make the most of the transactions. Know about the stakeholders and the buying parties of a target account to collaborate in a better way. Implementing a Direct Mail Campaign: Sometimes, an account-based, direct mail campaign might work as an integral part of ABM. 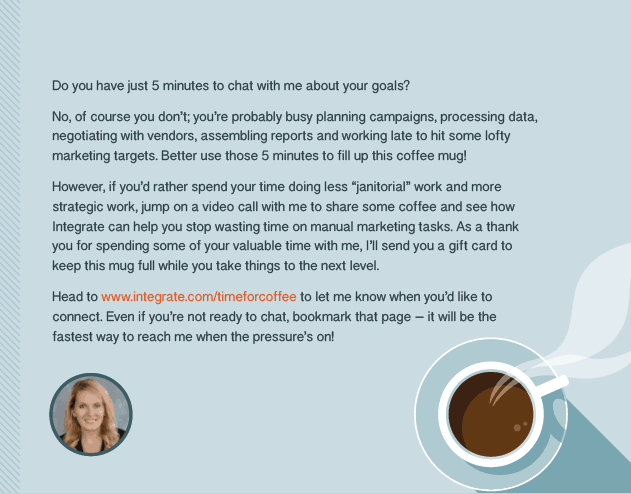 A direct email with a small value proposition works better for targeting a valued customer. Hosting Events for Target Accounts: It might be a good idea to engage with valued customers through a physical event. It can a big networking event or smaller city-based events to connect face-to-face with valuable customers and decision-makers. According to ITSMA, 85% of marketers who measure ROI feel that ABM initiatives outperform other marketing investments. As per the 2016 State of Account Based Marketing (ABM) Study, 27% of marketers said they were devoting between 11% and 30% of their total marketing budget to ABM. This metric was up from 19% in 2015, which shows that B2B marketers invested more heavily in account-based marketing in 2016. An Account-Based Marketing strategy will increase the revenue and the key indicator metrics like leads, engagement, and sales opportunities. When sales and marketing team work together to enhance a buyer’s journey, the result will surely be greater ROI and happy customers. ABM is a necessity in today’s dynamic and competitive business scenario and it is best to adopt it in time before your competitors do. For top-notch, ABM solutions and services, contact @EngageBay TODAY.